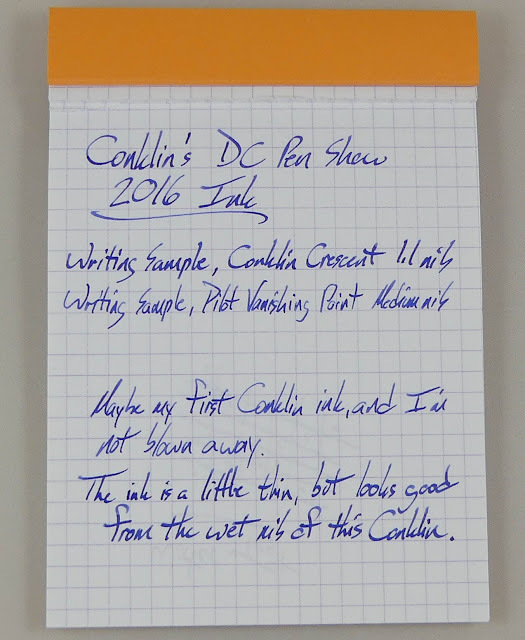 Conklin's 2016 DC Pen Show Ink | Inkdependence! So, this is going to be a short review because you probably can't get ahold of this ink very easily. It was the ink that was given away in the swag bag at the DC Show this last August, and it doesn't seem to have a name. That's irritating, and it means that I don't know if you can get this anywhere else because I don't know what it is. What I can tell you is that it works just fine. It's an okay blue that runs a little thin, and it certainly looks better from a wetter nib. It is only okay from the medium nib on my Vanishing Point, but it's actually really nice from the 1.1 stub on my Conklin. 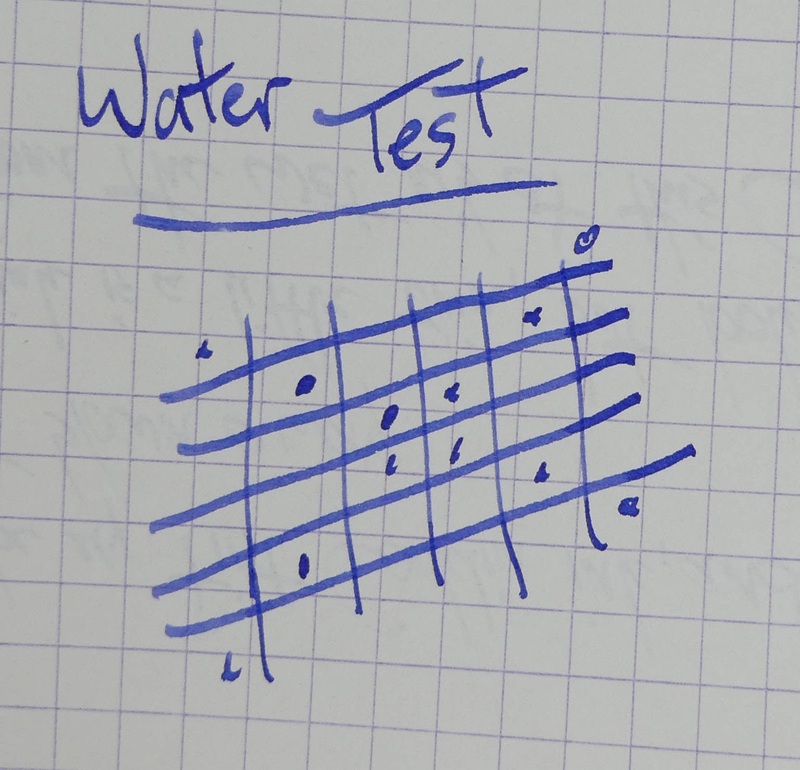 I think the issue is that the ink is a little on the thin side, so it just needs a wet nib to bring out the character. In thinner, drier nibs it's just kinda lackluster. 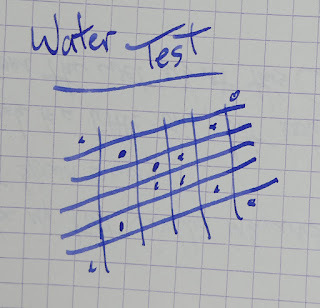 It works pretty well on the copy paper. There's just a little spotting on from the 1.1 nib, but that's not bad at all. 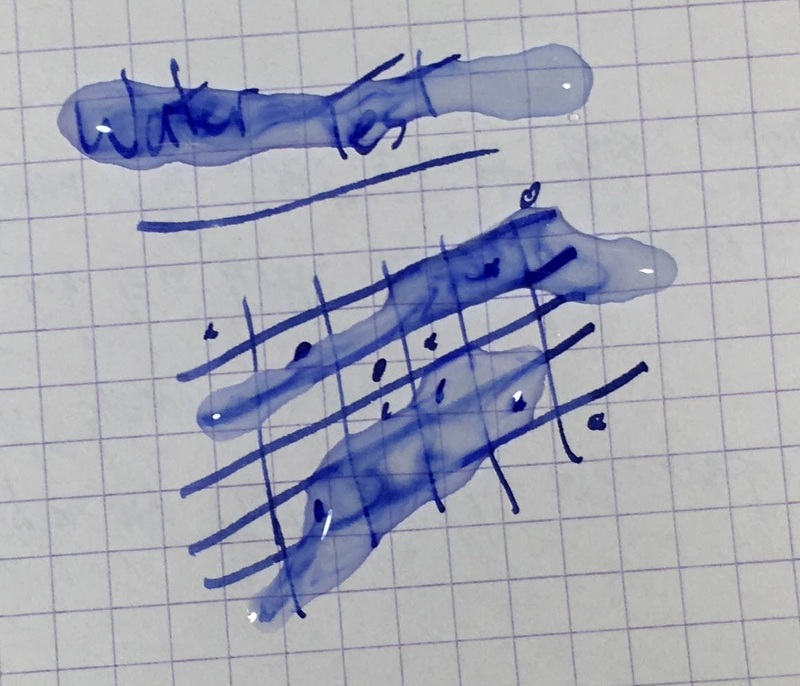 I'm not sure where you can find this ink, but if you find it let me know in a comment.